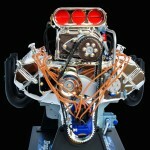 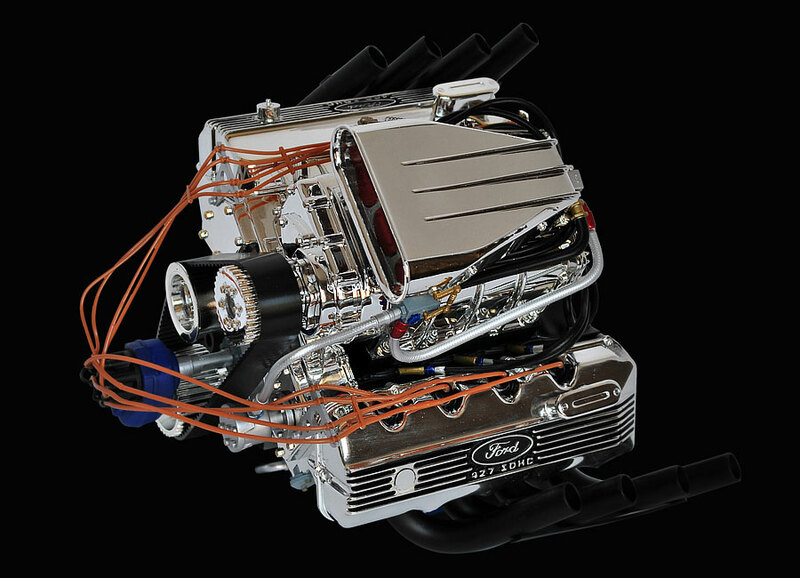 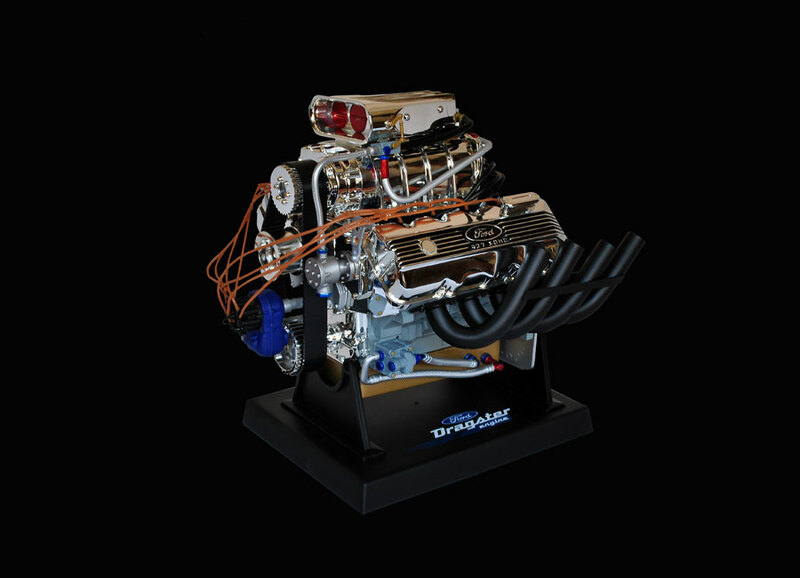 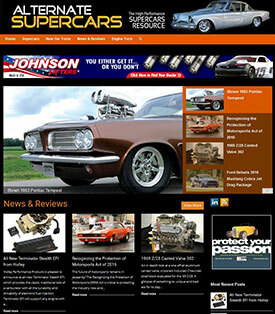 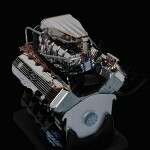 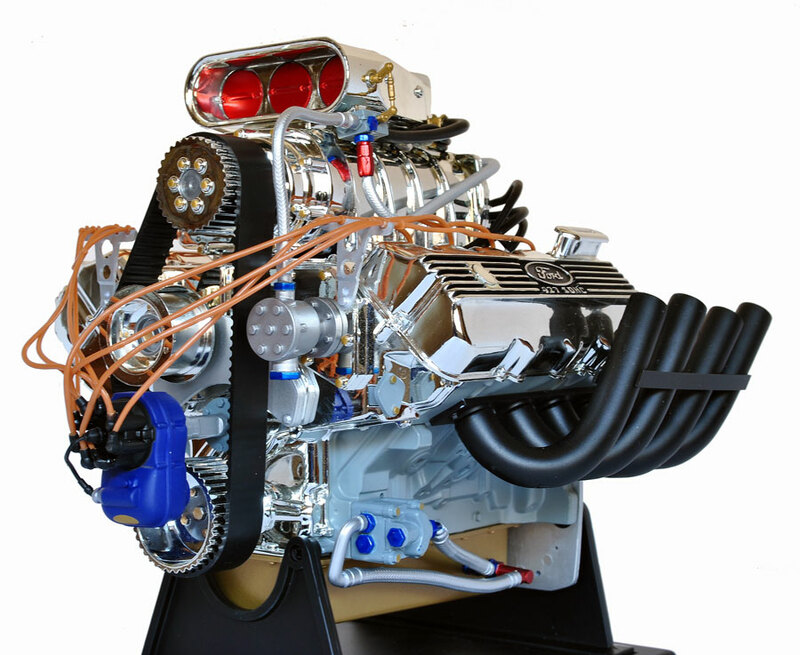 Here's another great 1:6 scale racing engine from the Summit Racing model engine collection. 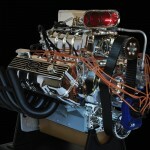 These are great looking engines from any angle especially in a display case backed by a mirror. 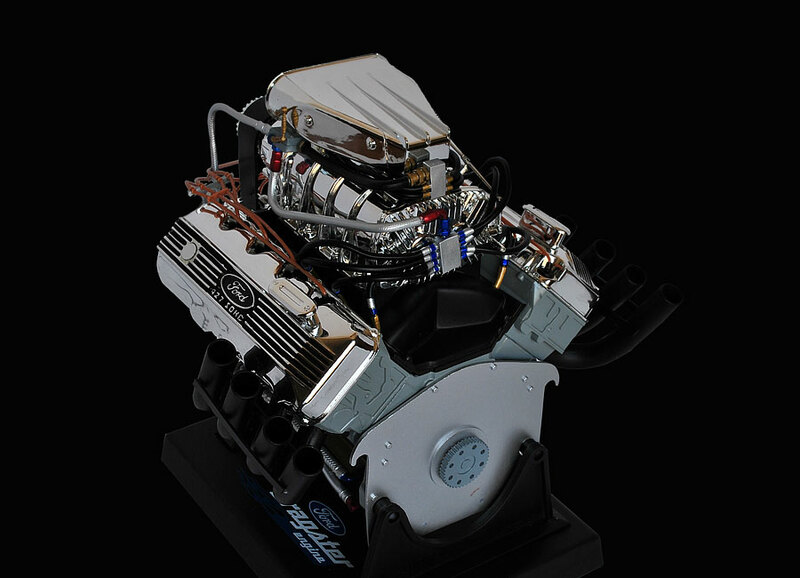 They look good surrounded by your die-cast car collection or as stand alone accents on your desk. 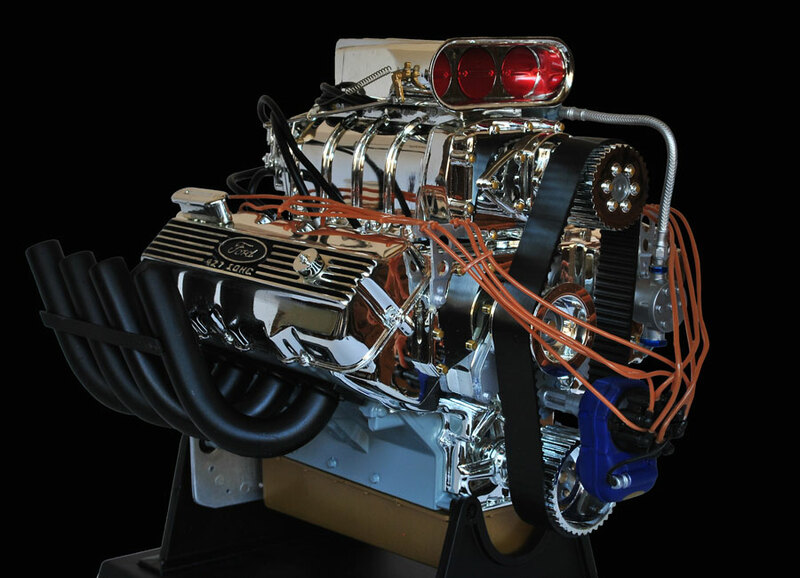 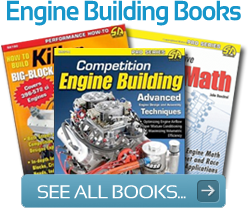 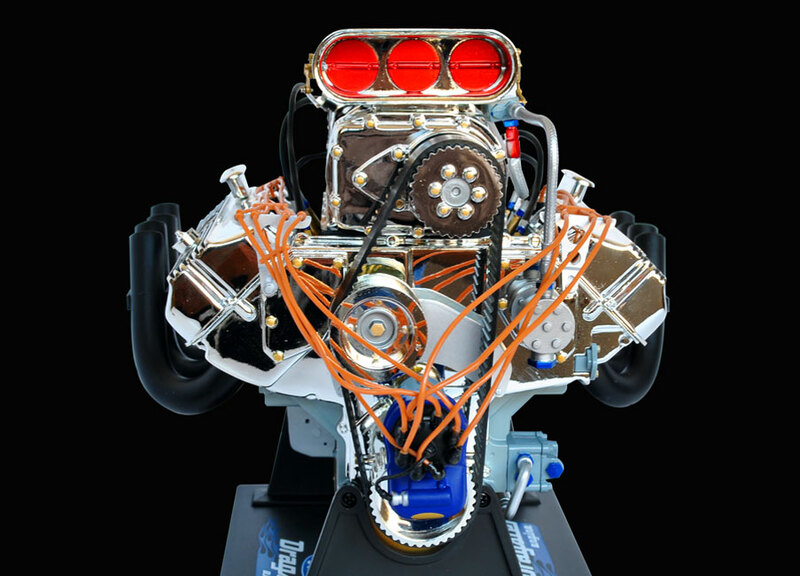 This historically correct model of one of drag racing’s most powerful racing engines is sure to garner envious comments from your friends when they see it in your collection. 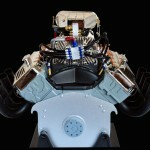 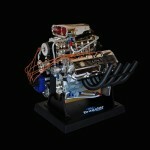 Study the accompanying photos to see the amazing degree of detail presented in this die-cast model racing engine. 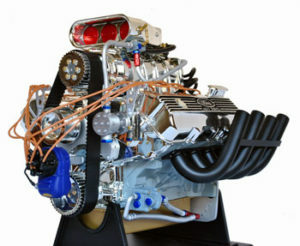 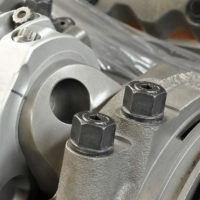 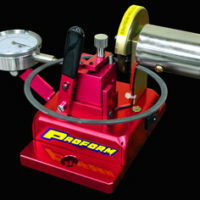 All of the racing components are replicated in perfect detail. 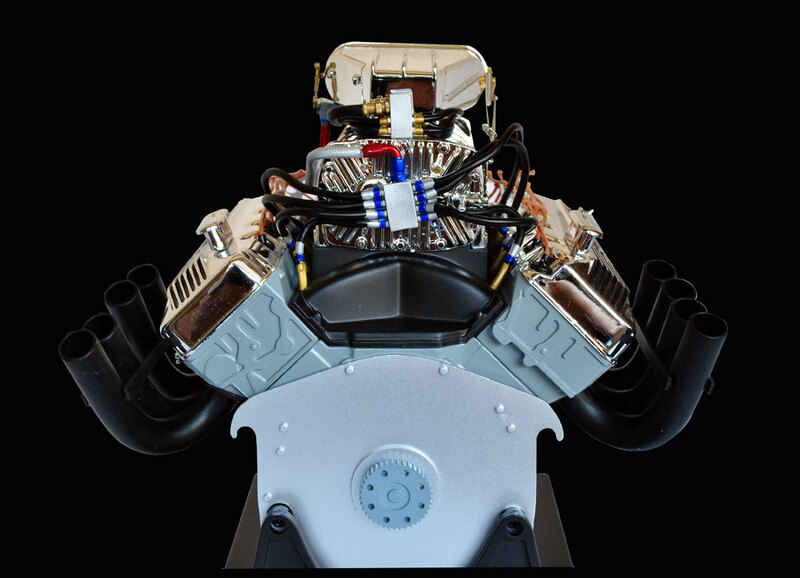 From the monster supercharger and front blower drive system to the detailed dry sump oil system, it’s all there in astonishing detail that includes braided oil lines, fuel lines and spark plug cables. 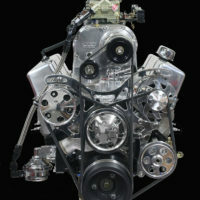 The model measures 7-1/2 inches tall, 7 inches wide and 7 inches deep. 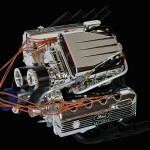 The reproduction detail is superb and the price is right for a fully assembled engine. 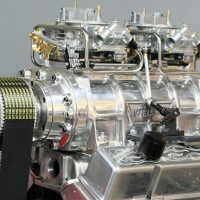 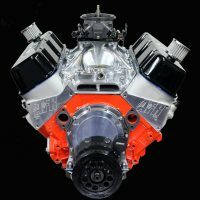 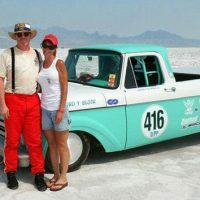 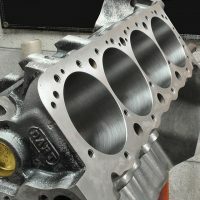 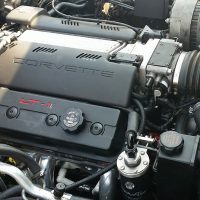 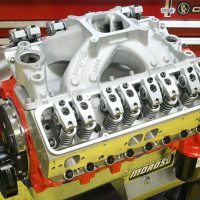 Once you get one you’ll likely want more and there are more than a dozen different engines available from a stock looking 350 Chevy to a snarling Shelby 427.